CHRISTIAN AIDS NATIONAL ALLIANCE is located in New Delhi Delhi . CHRISTIAN AIDS NATIONAL ALLIANCE is registered as a Society at Delhi of state Delhi with Ngo unique registration ID 'DL/2009/0005656' . 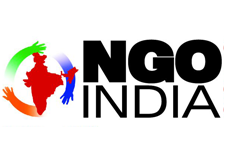 The NGO registration is done by Registrar of Societies with registration number 34730/1999 on the date of 29-04-1999, Its parent ORganaisation is PaulFoundation. The Chairman of CHRISTIAN AIDS NATIONAL ALLIANCE is Dr Vinod Shah and Chief functionary officer is S SAMRAJ. Promoters are Dr Nalini Abraha, Dr Alita Ram, Fr Sebastin,Dr Shilendra Awale.